Before the temperatures really drop, we wanted to highlight a dazzling pair of shoes. 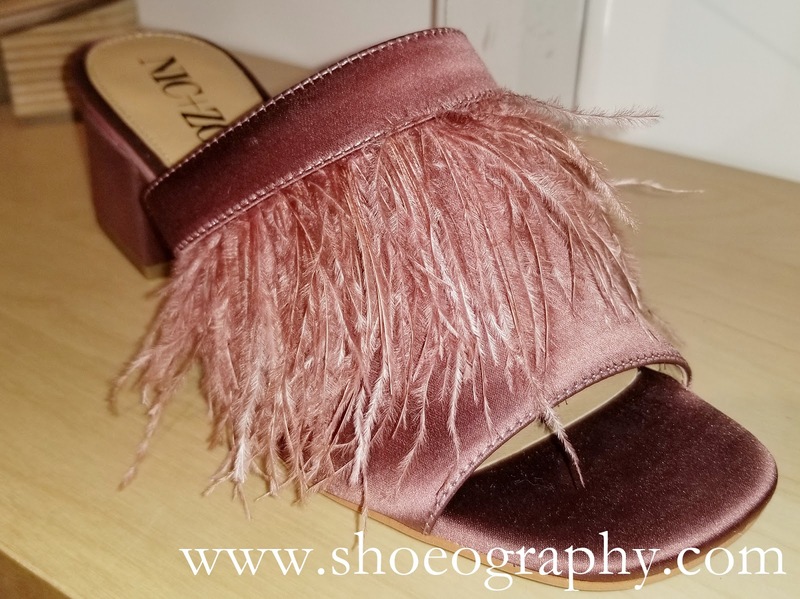 Say hello to the Nic + Zoe Zendaya Feather Slides; flirty, feminine open-toe slides that boasts a vamp overflowing with Ostrich feathers layered over a satin upper. These very chic slides also boast a satin strap across the vamp and a 2" block heel. Available in taupe (with a leather block heel) and rose blush (with a satin block heel), it can be yours for $150.00 each on www.nicandzoe.com.